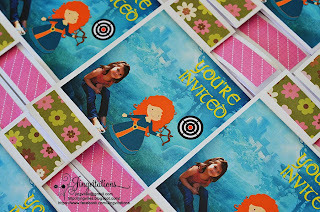 This is one unique invitation as it is for Baptism. 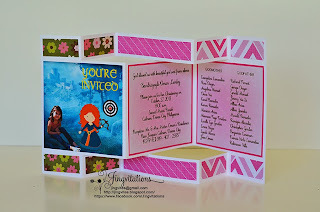 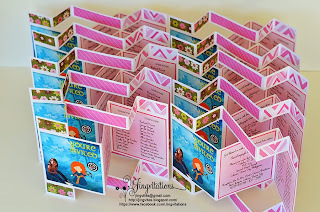 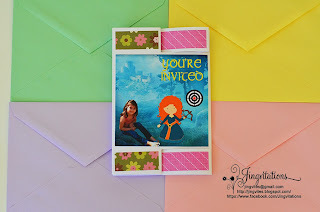 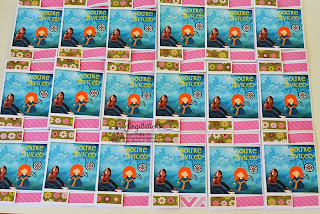 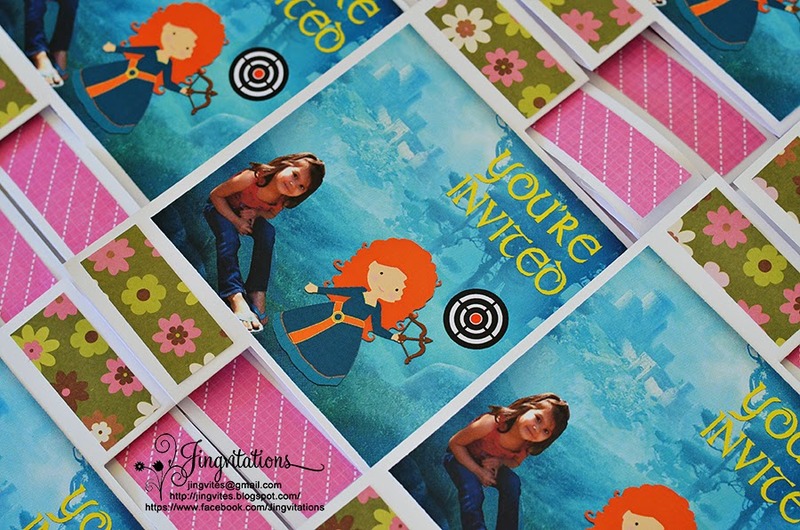 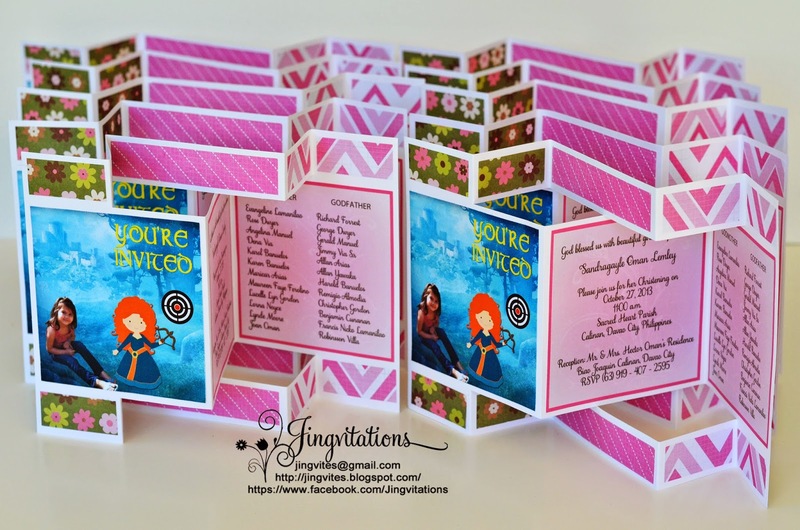 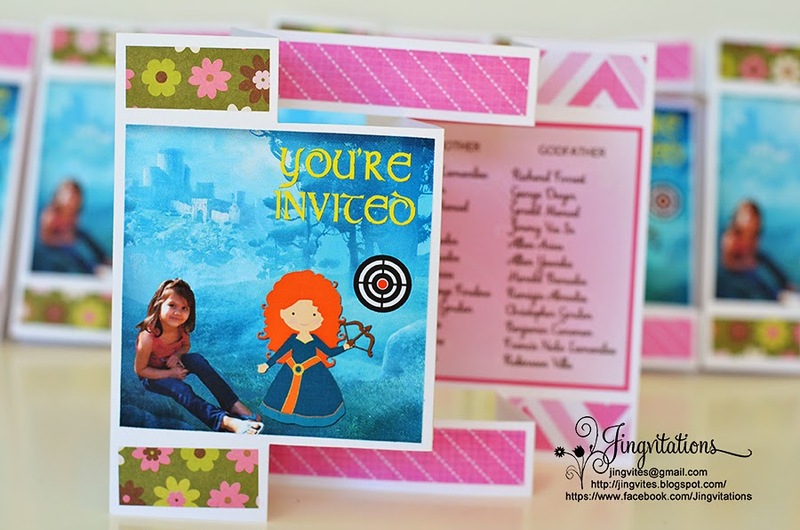 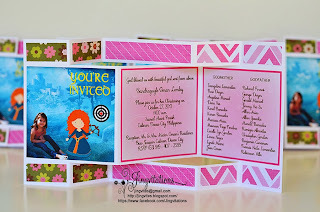 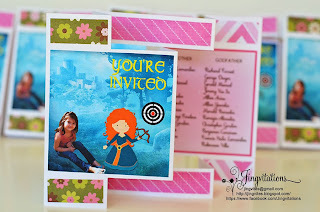 The celebrant just loves Princess Merida so much she wants her to be included in her invitations. 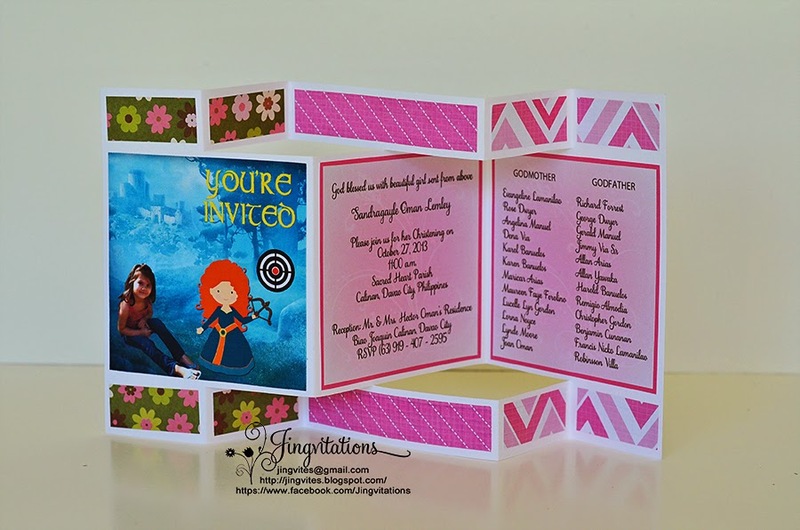 This is a tri-shutter design, 6' tall and x12" wide folded into 3..